THIS WEEK: Two new restaurants in Greenhills; cheesesteaks; an up and coming Japanese joint in Alabang; a new brunch place in Makati; hotdogs from the USA; and a few more cafes in the Metro. The Dimsum Place is a casual Chinese diner serving various dimsum baskets, wanton noodles, and more. Aburi is the newest modern Japanese restaurant in Alabang. The restaurant’s name is derived from the unique preparation of sushi where your usual nigiri sushi is torched to have that distinct grilled flavor. Read our full feature here. Pink’s Hotdogs is a famous hotdog joint from Los Angeles, California. Since its humble beginnings back in 1939, Pink’s has expanded to over 15 branches in the US (their Manila branch is their first international location). Thanks to the Wildflour group for bringing this US franchise to Manila! Read our full feature to prepare for your first visit. Bean & Yolk is an all-day brunch cafe where eggs and coffee take center stage. Their unique menu includes 8 special egg dishes and they only serve the best brews using premium Brazilian Yellow Bourbon coffee. Read our latest feature on this restaurant here. Zoo Coffee is an animal-themed cafe franchise from Korea. Enjoy your caffeinated drinks alongside their adorable displays of stuffed animals. G/F Alphaland Makati Place, Ayala Ave. cor. Malugay St.
Sigs Smokehouse is a Texas-style bbq joint hidden in Quezon City. 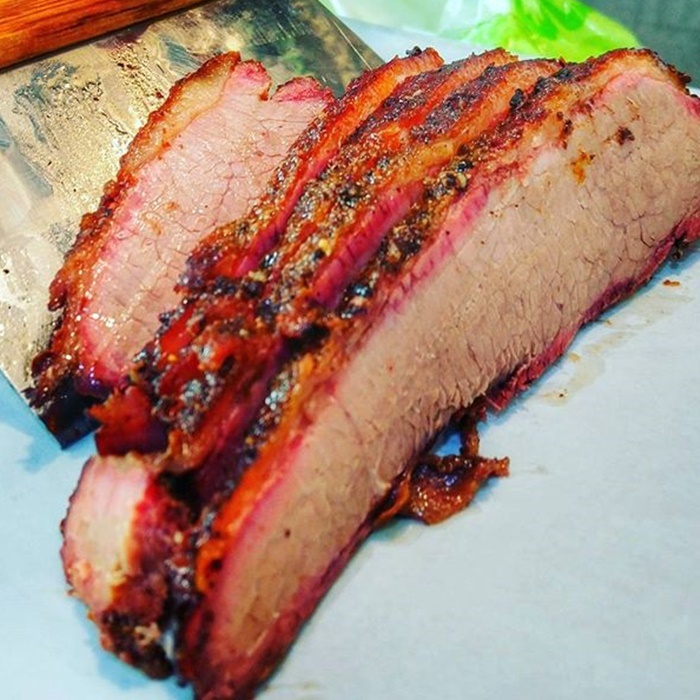 Their custom made smoker churns out juicy 12-hour beef briskets, tender pork ribs, and many more. Their unique craft beer choices include Baguio’s Lagud beer, Katipunan craft beer, and Kalinga Kölsch. YDG or Your Daily Grind Coffee is located along the busy streets of Makati. The painted, monochromatic walls + wooden panels are the perfect Instagram backgrounds for your photos of their strong brews. Booky Tip: They’re closed on Sundays. Checkout our coolest hipster cafes post here. 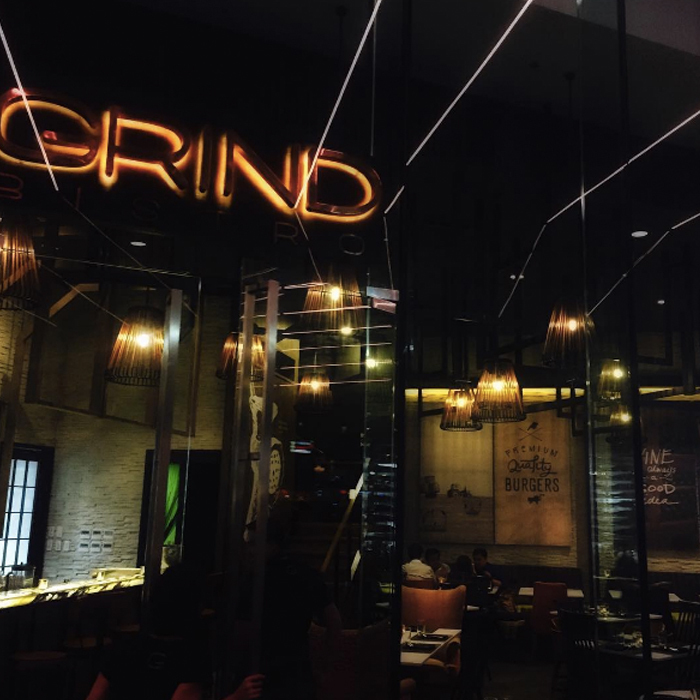 Grind Bistro is an upscale burger joint located in the heart of BGC. Their burgers are made from premium ingredients like their Gourmet burger (seared foie gras, onion jam, balsamic syrup) and the Wise burger (Mediterranean spiced chick pea, shiitake and black bean burger, Tiny’s secret sauce). Booky Tip: You can also create your own steaks! Read more on this restaurant here. Ten Ren Tea is the largest tea manufacturer in the Far East. Ten Ren has been promoting the art of Chinese tea worldwide for over 40 years and now has branches spread across the US, Japan, Australia, Canada, Malaysia, Singapore, and Taiwan. This is their first store in Manila. Fred’s Revolucion is a known hangout spot from Cubao Expo. What’s unique about this place is that every corner and dish exudes Filipino flavors, including their impressive offerings of local craft beer. Joe’s Cheesesteak is a one of a kind sandwich joint in Quezon City, owned by Grace Magalona (same owner of the now defunct Cheesesteak cafe in Makati). 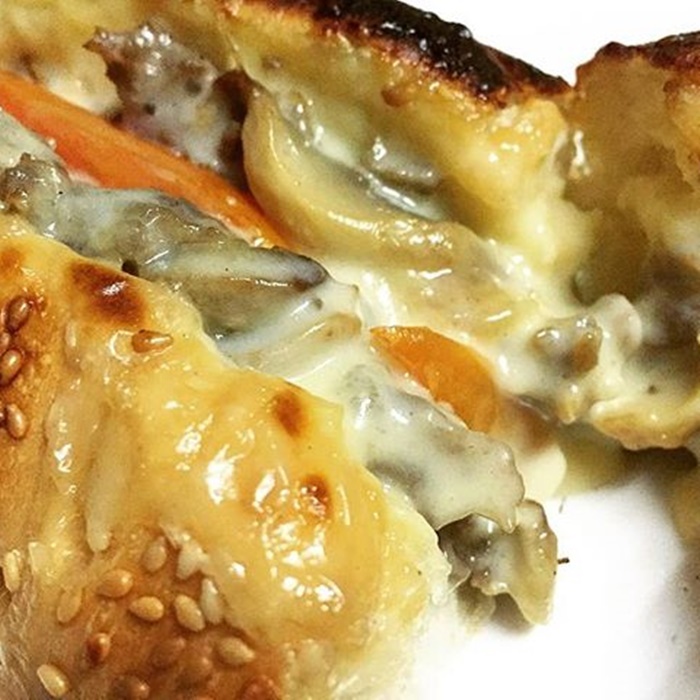 Their bestselling Cheesesteak is made from sirloin beef, mushrooms, onions, and their unique cheese sauce. Thanks to all our Booky insiders and restaurant owners who submitted all these new awesome restaurants to [email protected] Don’t forget to tag us (@bookyapp) and use the hashtag, #bookymanila, on your food adventures. Download the free Booky app on your iOS and Android devices to stay updated on all the latest restaurants in Metro Manila.